We have already worked for a lot of companies and we know how to perform when it is the work of digital media in Pakistan. 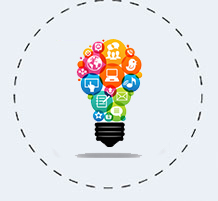 We have one of the professional team in digital media marketing. We always do research on your brand and then come up with some of the best marketing tactics for you. We will love to hear from you and we want your thinking that how you want to see your products and services in the next 20 years. All the trends of the markets are changing with every passing day. We are working on the brand new ideas of marketing because we know how to set the newer trends in the market for the better sale and for the bright future of our clients. We have one of the professional team in digital media in Pakistan. They can take responsibility for the work. They are efficient and always meet the deadlines which were settled in the first meeting with customers. We hate to drag things out to a long time and never even work for the extra-large time span. We love to have your ideas in the marketing campaigns. We always ask for your recommendations and work according to that. We offer digital media marketing solutions to our clients and tell them that how this is better now to do digital media marketing. Traditional ways of marketing were costly and time taking but the digital media marketing is very easy and consumes the lesser time of the client. Now we are living in modern age so the traditional way of market product will never work for longer for a product so you can have both or focused digital media Every bigger brand is doing both traditional and digital media marketing because they know how to grab all the audience in order to get more value of the product. We are offering customized packages for social media marketing. You will be charged for what we are doing for you. We have almost every solution of marketing on digital media but the choice is yours that what you want to see. We always finalize things when we asked them from the customer and till then we keep working on that project. Our ads are very detailed and convey the proper message to the target audience. We know the mindset of the audience and we can play with that quite easily. Your message will also be very strong that it can grab more audience to your product. We guarantee you that our designers are skilled and they know how to cater the target market with the idea. Our ideas will become the cause that your business will flourish one day. You can also have meetings with our designing team so that they can also make you satisfied with everything. We always do research on your brand and then come up with some of the best marketing tactics for you. We know about the trends that are focused and we merge our ideas with them to make you a successful brand of the market. We always go into the details of the product and also search the competitors so that we can get the best audience for your product. On the other hand, we keep monitoring that how is the work going and how this project is catching the audience which can become your target We promise that you will pay less and have more revenue from that payment on your website. You can ask for combination or of single media marketing. We are capable enough to give you some affordable prices to convert your smaller brand into a bigger one. The quantity of overall social media users is anticipated to develop from 2.1 billion a year ago to 2.5 billion by 2018. 645 Million individuals look at business pages on Facebook every week. 50% of shoppers claim to have purchased an item or administration in view of suggestions they get by means of their web-based social media networks. 97% of entrepreneurs now utilize online networking promoting and 93% of them concurs that this kind of advertising is imperative for their business. All the trends of the markets are changing with every passing day. We are working on the brand new ideas of marketing because we know how to set the newer trends in the market for the better sale and for the bright future of our clients. Digital Media in Pakistan is one of the known terms now and everyone wants to market their products on digital media. This is quite right that your business becomes a brand when you market it on digital media. Other ways of marketing are also important but they are not as mandatory as the marketing campaign of digital media. So do not worry we are here for you. We always ready to welcome the change you want in your marketing campaign. This is the reason we have more satisfied customers in the digital market. We are working for many years in the market of Pakistan and our customers are satisfied with our premium services. Every customer wants that they should treat special and we think that you are special and we treat you like this. After your digital campaign finalized we always ask for your feedback to have a better experience next time. We always ask from you about how you think we are working in several meetups and phone calls.